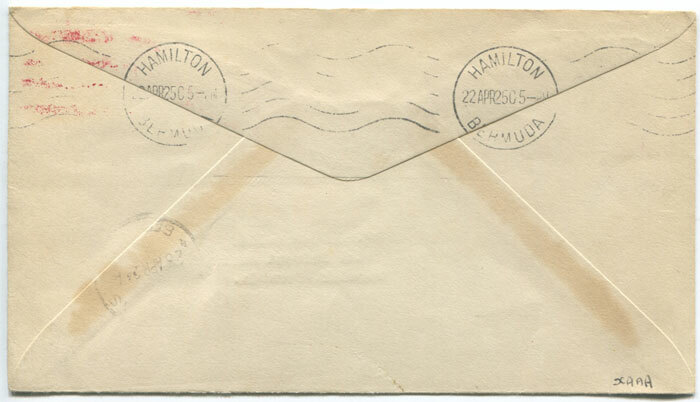 Hamilton 22 Apr backstamp. Fine. 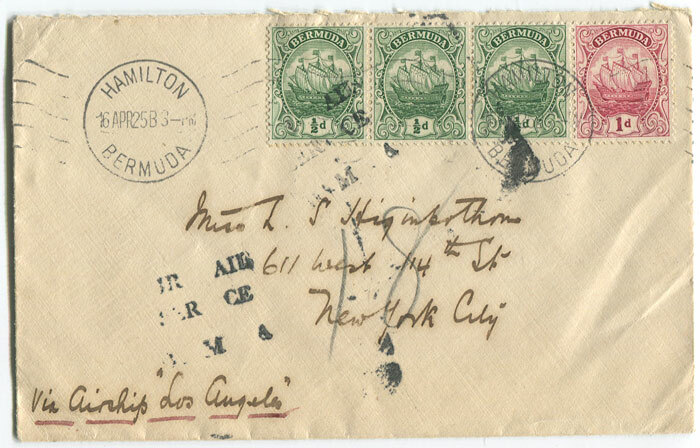 with 2½d franking tied by by Hamilton m/c. 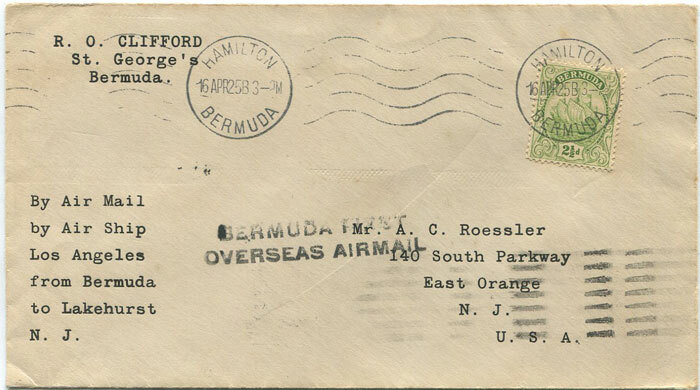 Good strike of 3 line 'AIR MAIL SERVICE BERMUDA' h/s. 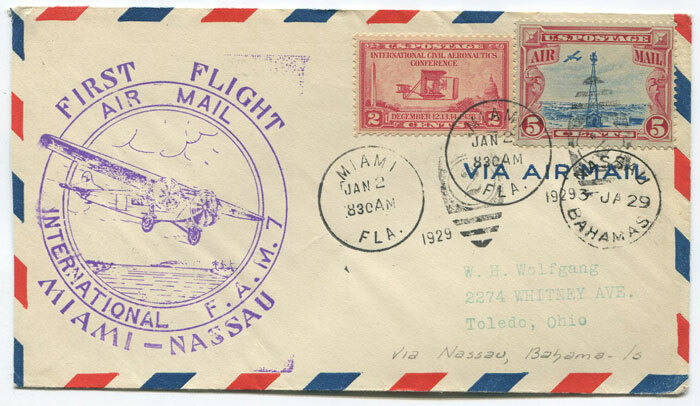 1929 (2 Jan) First Flight Miami - Nassau per F.A.M. 7 cover. 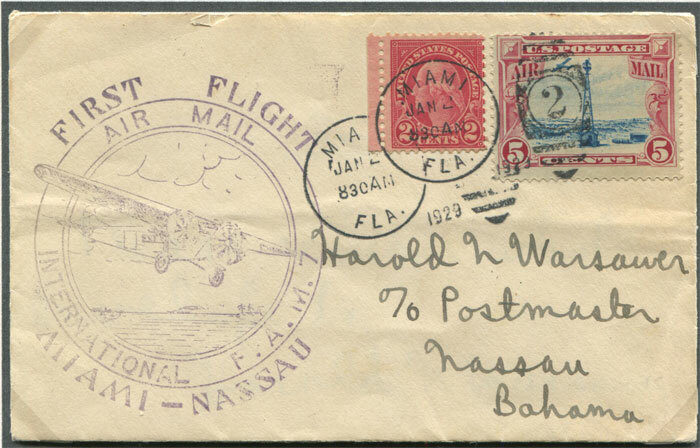 1929 (2 Jan) First Flight cover Miami - Nassau, Bahamas, per Pan Am. 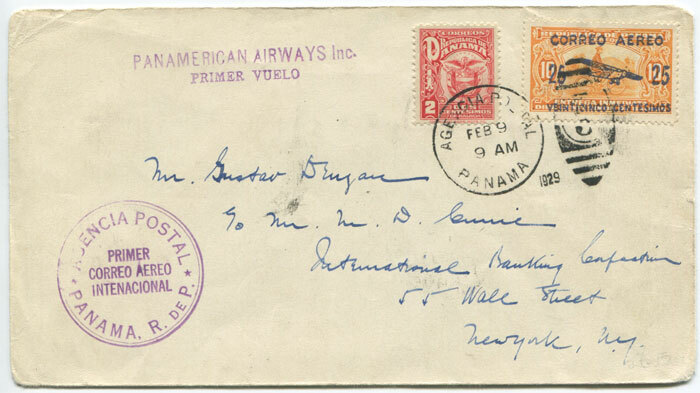 1929 AGENCIA POSTAL PANAMA R. DE P. PRIMER CORREO AEREO INTENACIONAL h/s on first flight cover Panama - New York. 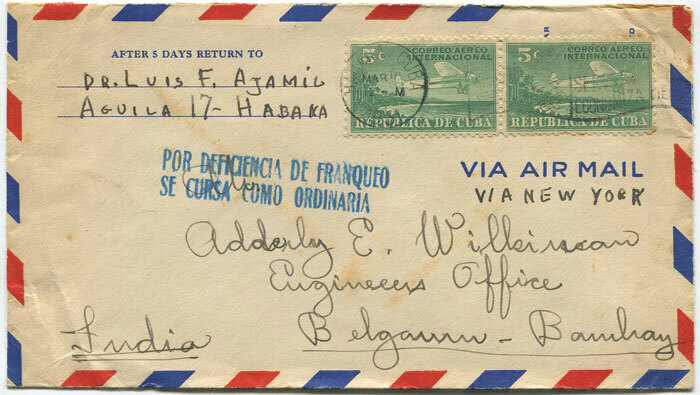 Pan American Airways h/s at left. 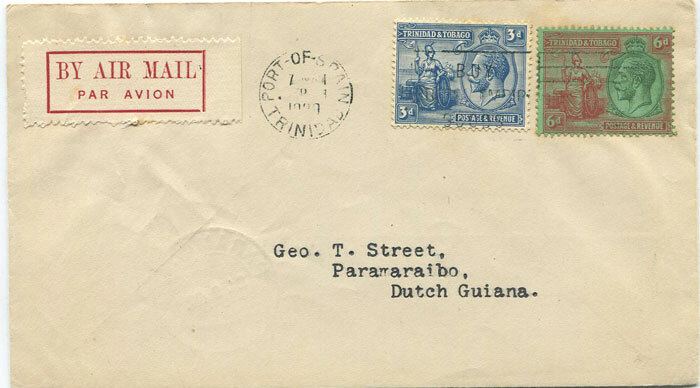 with Paramaribo cds on reverse. Fine. 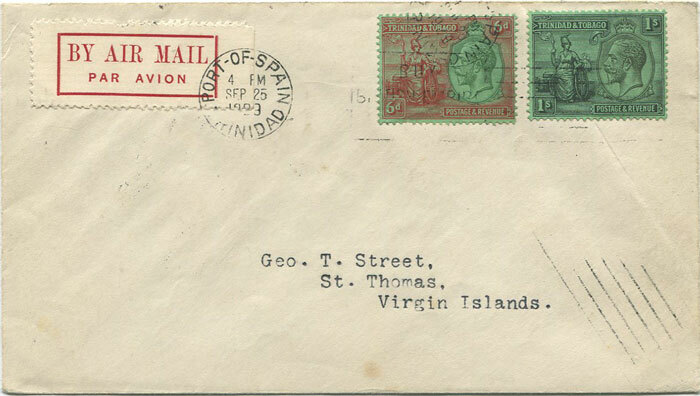 with St Thomas b/stamp. Fine. 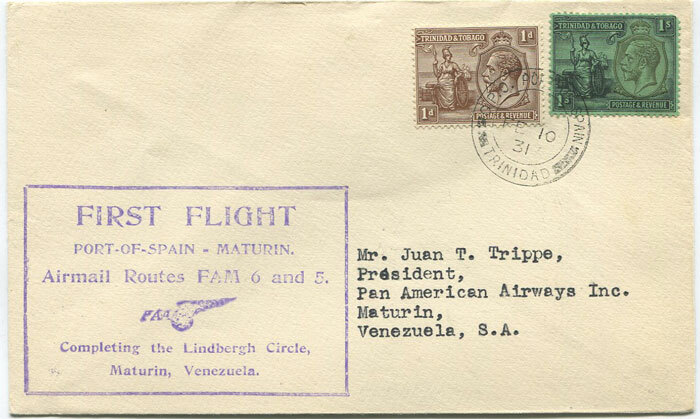 with San Juan b/stamp, signed by pilot Jack Tilton. Fine. 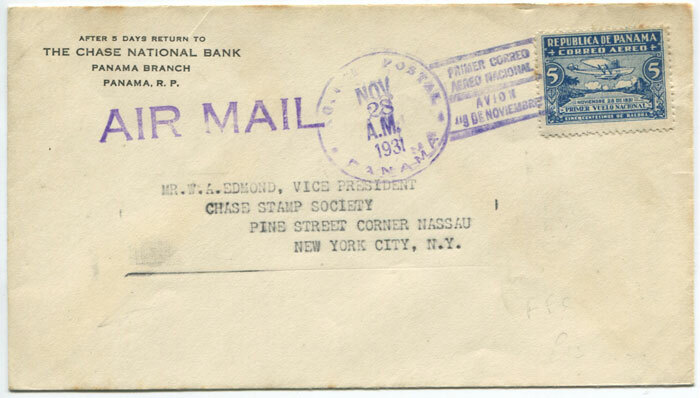 1930 N.Y.R.B.A. 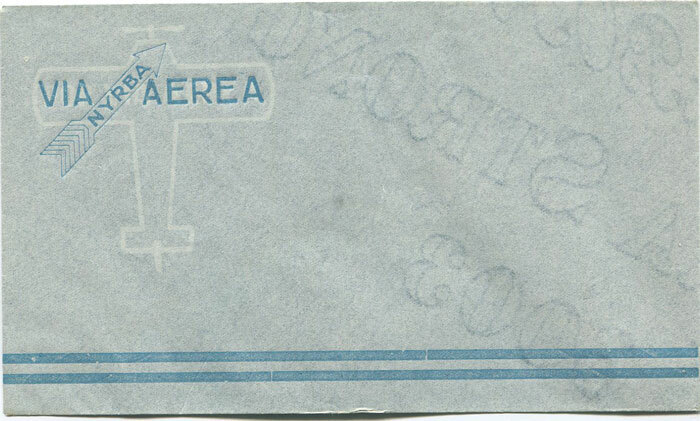 unused special printed air letter envelope. 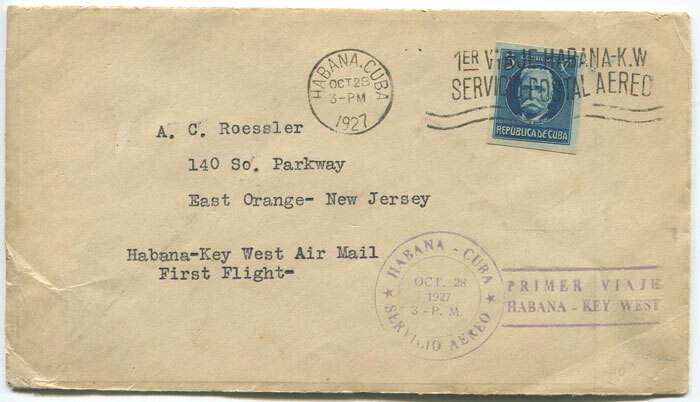 1931 PANAMA PRIMER CORREO AEREO NACIONAL AVION 9 DE NOVEMBRE barred cancel on first flight cover Panama - New York. 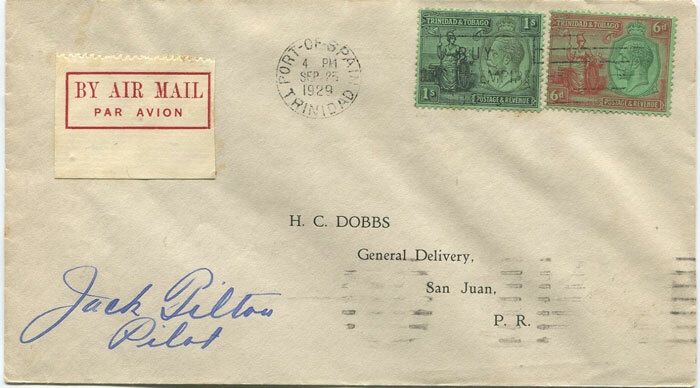 1931 Cuba cover to India with 'POR DEFICIENCIA DE FRANQUEO SE CURSA COMO ORDINARIA' h/s. 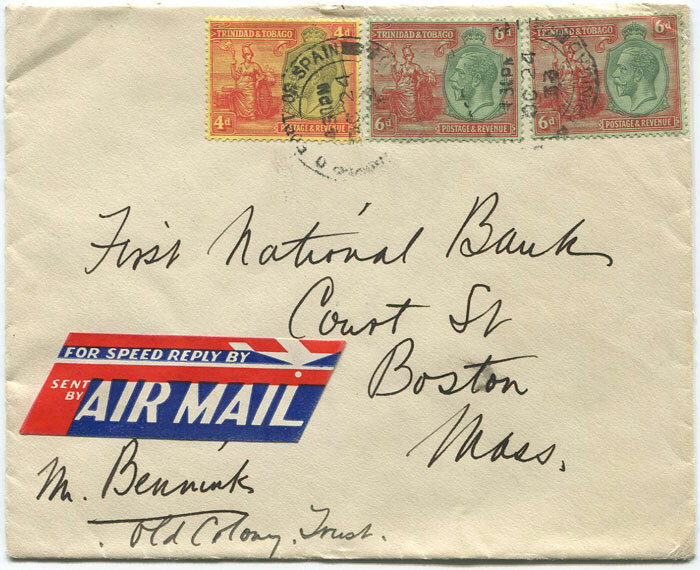 10c franking which was insufficient to send per airmail so sent per surface mail. 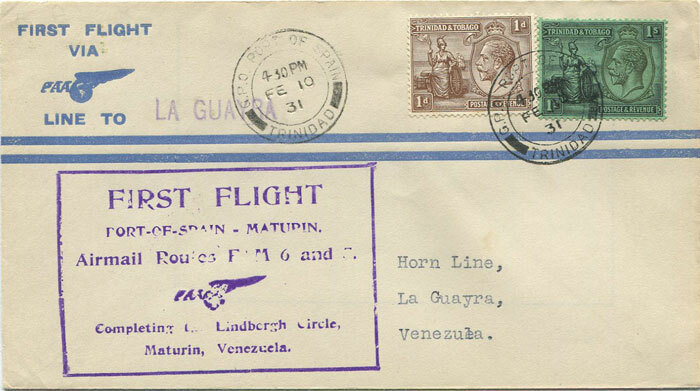 1933 Trinidad airmail cover to U.S.A. with 1/2d franking. 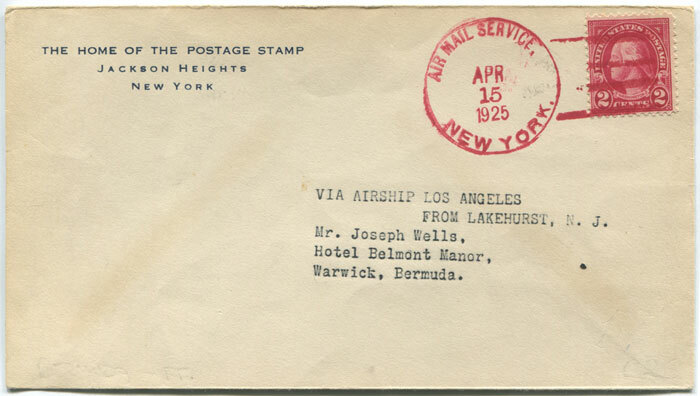 Private air mail ettiquette label promoting airmail. Fine. 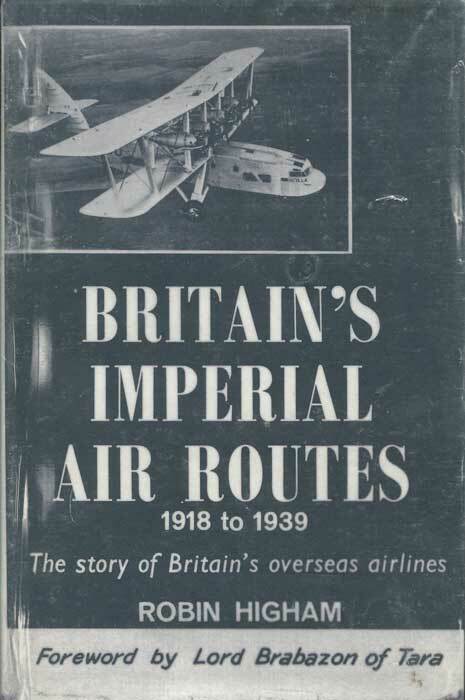 HIGHAM Robin ritain's Imperial Air Routes 1918 to 1939: The Story of Britain's Overseas Airlines G.T. Foulis & Co Ltd 1960 407pp + plates. 1st ed., fine in original cloth with facsimile D/W. ANON Visit the Treasure Isles of the Spanish Main. 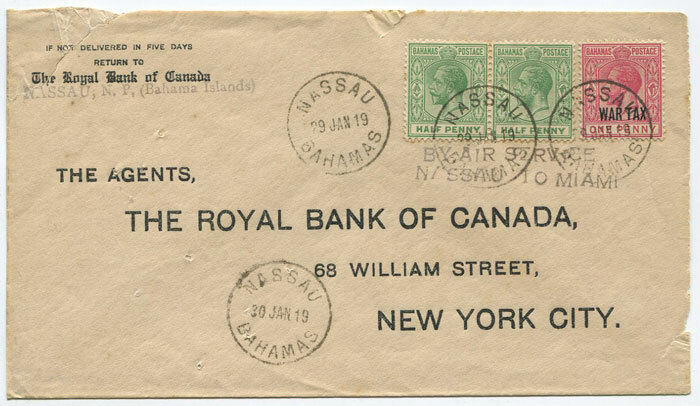 Bahamas, Jamaica. 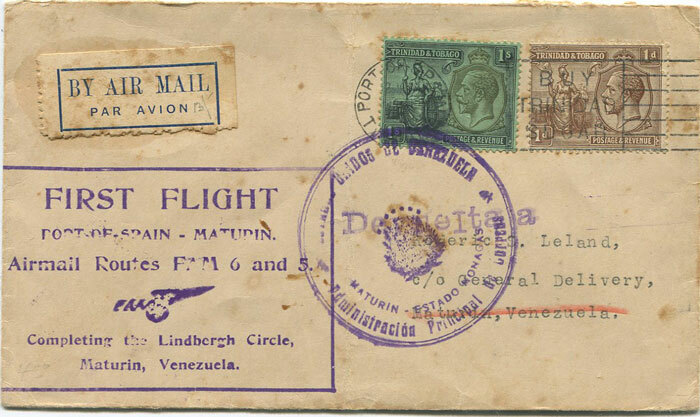 Pan American Airways 1946 Folded brochure with photo views. 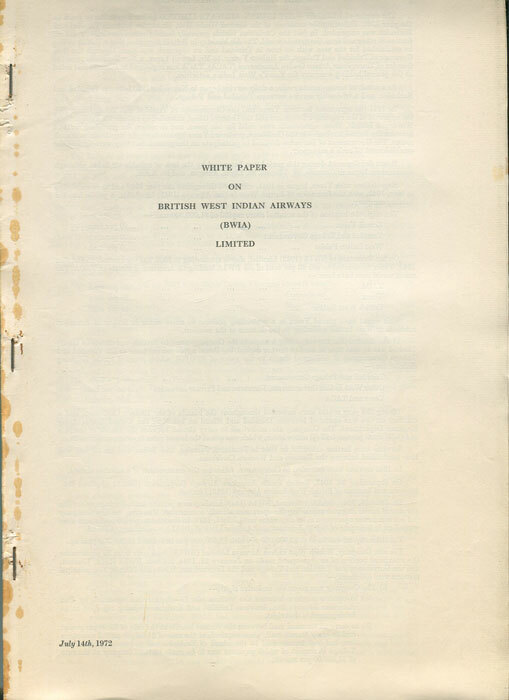 ANON White Paper on British West Indian Airways (BWIA) Limited. 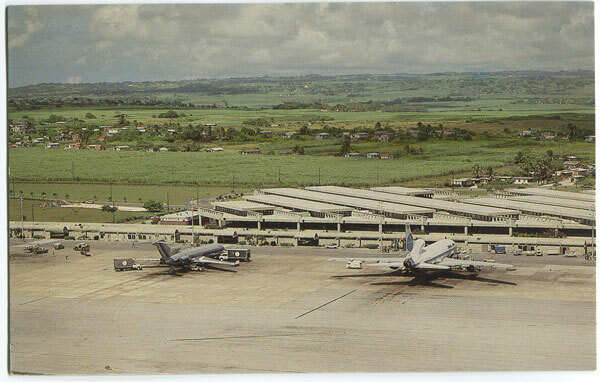 Government Printery, Trinidad 1972 16 + 38 + 45 + 10 + 4 + 4 + 5 + 5 + 6 + 2 large pp. 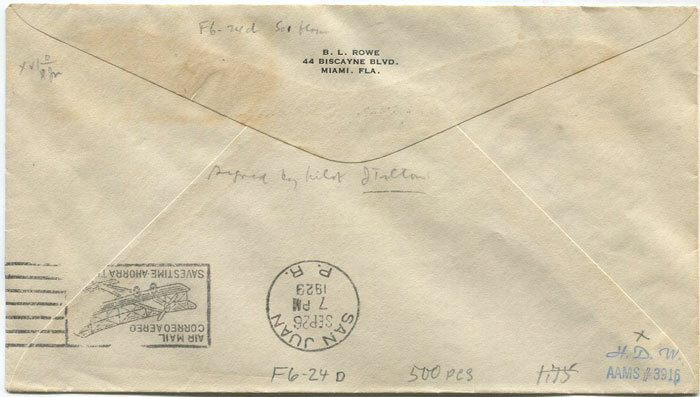 Clean in paper covers. 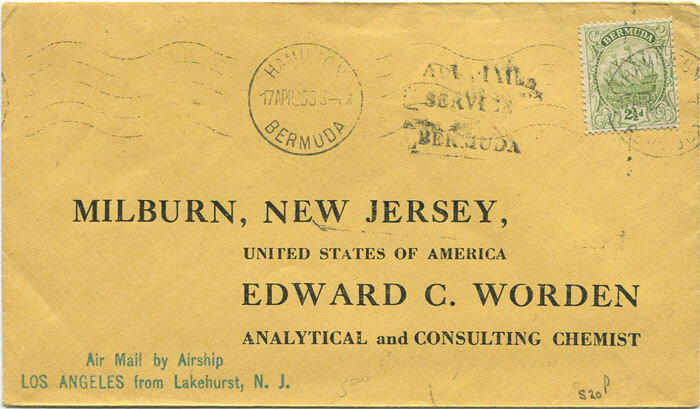 Includes history of the company. 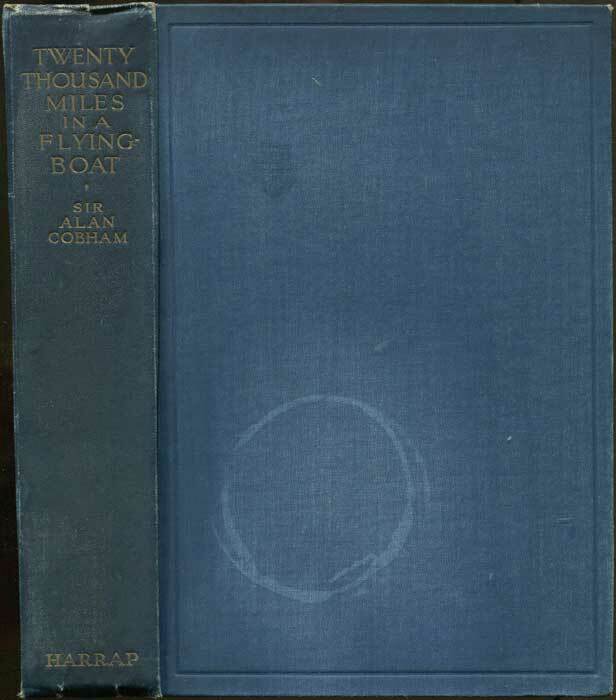 COBHAM Sir Alan Twenty Thousand Miles in a Flying-Boat. 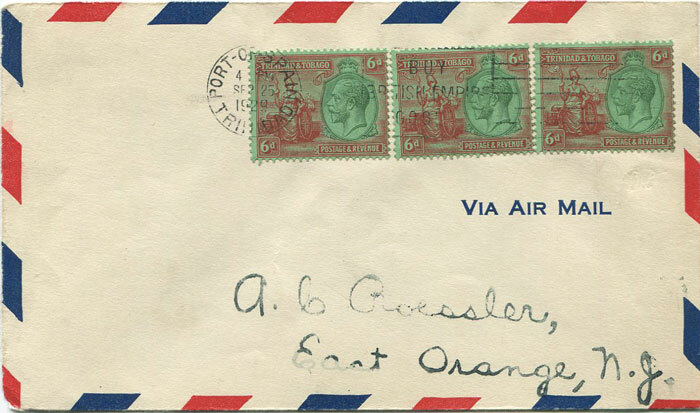 My Flight Round Africa eorge G. Harrap & Co 1930 250pp + folding map and plates. 1st ed., clean in worn and faded original cloth.